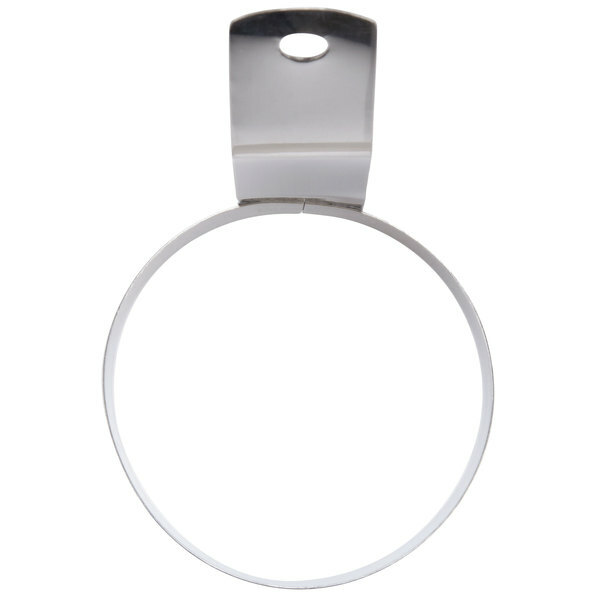 Perfect for cooking eggs on any sized grill, this 3" egg ring will help achieve more consistent results with less waste! Cooking in a small, contained mold keeps raw foods and potential allergens from sullying your eggs.The durability of its stainless steel construction makes this ideal for use in even the busiest of kitchens. This ring will allow for both efficiency and organization in your work area, preventing both cross-contamination and unnecessary cleanup. No more fried eggs running all over your grill! 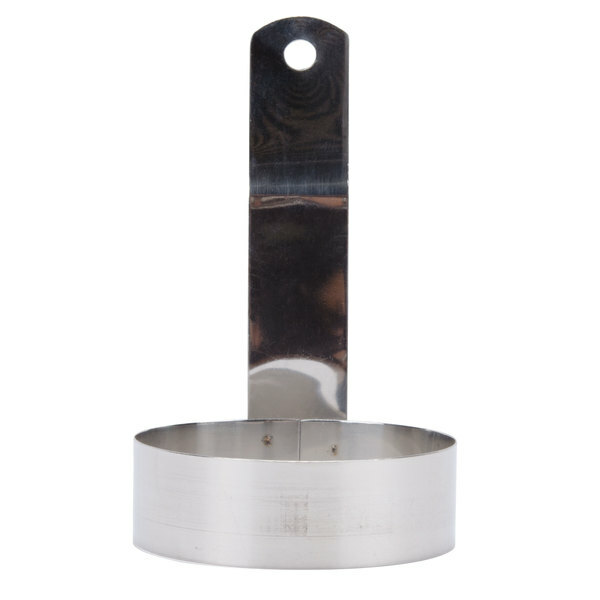 This stainless steel egg ring is 3" in diameter and 1" deep, providing the ideal shape and size for use on breakfast sandwiches. Whether they're on bagels, biscuits, or English muffins, eggs made from this ring will provide a professional, finished appearance to all of your culinary creations! Its angled handle facilitates ease of use and helps avoid painful burns and the hanging hole allows for compact, easy storage. So many uses, mini pancakes, food mold, biscuit cutter. Nice and sturdy, get several, so you can make several pancakes at once, or fry several eggs at once. This ring makes perfect eggs for a breakfast sandwich. Doesn't matter whether on the flat top or in a pan, it holds the shape well. I have a few egg rings around my kitchen and this is one that I use the most. The 3" size is great for making an egg for sandwiches while it can also serve as a cookie cutout. Great price and easy to store in a drawer! This stainless steel egg ring works well, and is a good size for one egg (I use large or extra-large eggs). Eggs will release if the ring is pre-oiled with vegetable oil. Even though it is a two piece welded design, it is still easy to clean. 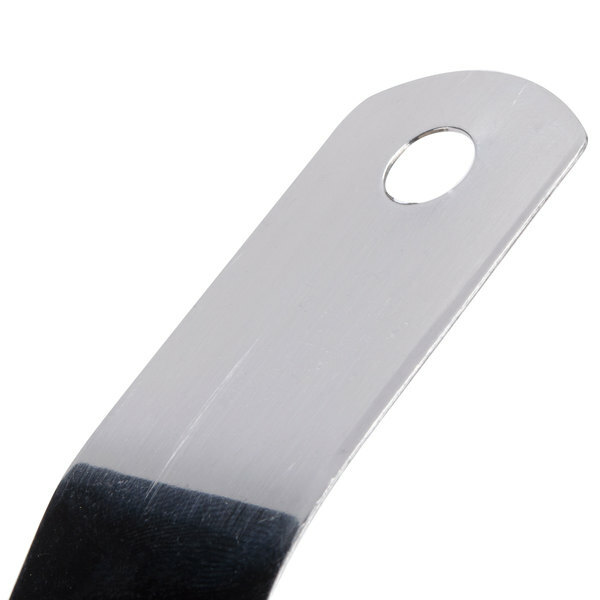 The 3" steel egg ring is smaller than others which results in a thicker egg and is a great priced tool. The ring is also wonderful for shaping sausage patties to ensure all the items are the same size for a great biscuit. As many people have stated, the 3" egg rings are the perfect size for English Muffins or to make kids pancakes. They are very sturdy, easily washable and will hold up in any dishwasher. Give them a try. Coolest thing ever! I am very OCD so when I can plop this thing on the pan and get an exact perfect circle for my eggs its a win win for me. So cheap and well made for the price! The ring is a great buy if you want muffin sized eggs. It is inexpensive, easy to use, dishwasher safe, and sturdily made. I had great results when I tried it and am buying more. 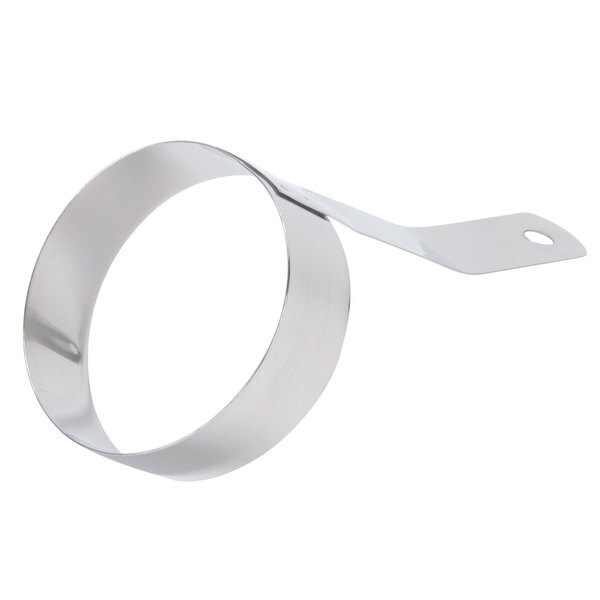 This 3 inch stainless steel egg ring with handle is perfect for making egg patties for English muffin egg sandwiches. The cooked egg fits nicely into the sandwich. Three inches in diameter, this egg ring has a comfortably bent handle. It is made of stainless steel and can also serve to shape a rice dish in a circle and serve for portion control. 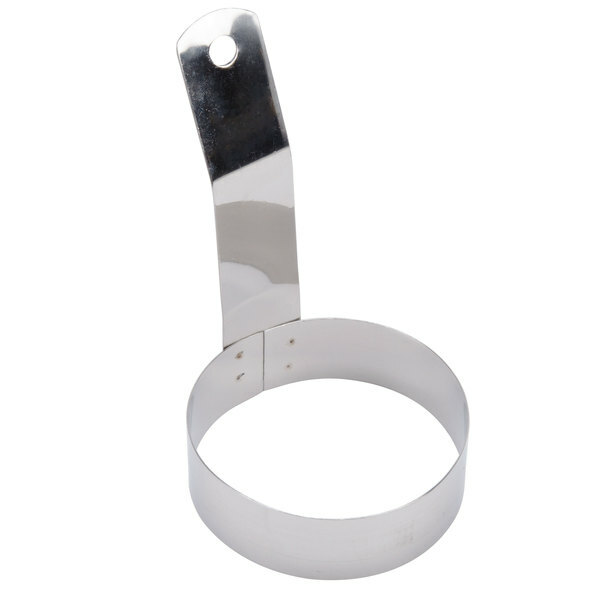 The 3" Stainless Steel Egg Ring with Handle is very versatile. It can be used for eggs, burgers, pancakes and many other items. It is sturdy and easy to clean.